The Bangladesh Air Force (Bangladesh Biman Bahini in Bangla), is the tactical and strategic air branch of the Bangladesh Armed Forces. It also provides air support for ground troops. Bangladesh Air Force consists of more than 22,000 personnel including 3,200 officers of whom around 500 are General Duty Pilots. Bangladesh Air Force was officially formed at the Bangladesh Sector Commanders Conference 1971 during its independence war from Pakistan in 1971. Its official date of formation has been established as September 21, 1971. A number of BAF officers participated in the Bangladesh Liberation War. Initially, BAF was formed with all officers and trained airmen of Bengali origin serving in the Pakistan Air Force prior to the war. 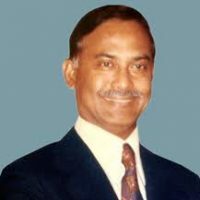 At that time, the embryo of Bangladesh Air Force (BAF) was formed with an air chief and less than a hundred officers and airmen. 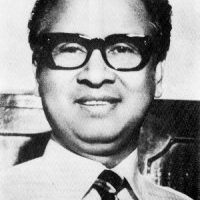 During Bangladesh independencea war officers of the BAF in the Z-Force were Squadron Leader Muhammad Hamidullah Khan, who was assigned as Commander-Sector 11, Flight Lieutenant Liaqat as Battalion Adjutant, including Flying Officer Rouf, Flying Officer Ashraf and Flight Sergeant Shafiqullah as company commanders. Squadron Leader Wahidur Rahim, Squadron Leader Nurul Qader, Squadron Leader Shamur Rahman and Air Commodore Ataur Rahman as sub sector company commanders. Wing Commander Khademul Bashar who also participated in the war was Commander-Sector 6. 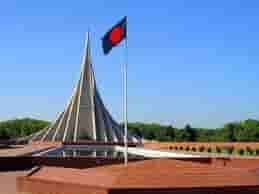 During the end of the war a symbolic flight known as ‘Kilo Flight’ was flown to establish the Bangladesh Air Force. Initially, ‘Kilo Flight’ consisted of three out of date malfunctioning aircraft provided by the Indian authorities. Trained BAF personnel repaired the aircraft and nine officers and 47 airmen were given a symbolic operation to mark the beginning of the air force. Squadron Leader Sultan Mahmud was appointed as the commander of the ‘Kilo Flight’ with two transport planes and one helicopter. After repairing the three aircraft into some operational form, ‘Kilo Flight’ successfully began its maiden flight operation in the new air force. It bombed an old and almost empty fuel storage in Chittagong and Narayangonj area and thus the journey of BAF had commenced. During the war Pakistan flew away many essential materials and equipment that was assigned and appropriated for the eastern zone. Almost entirely all air force flight and aviation equipment and gear including infrastructure material that was remaining was acquired by the Indian armed force. BAF received a significant donation by the air force of the USSR after independence.